We are now on week four and the conclusion to our taste experiment. 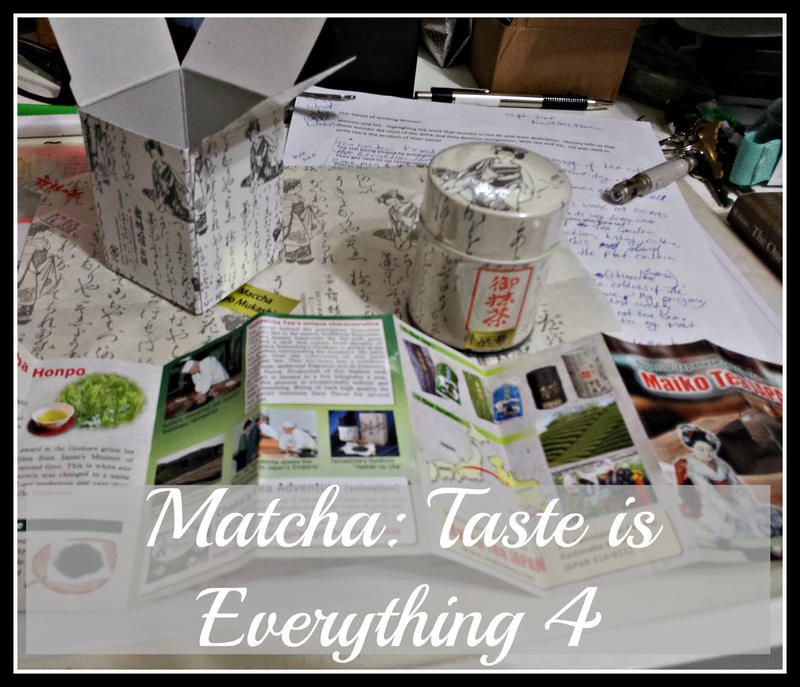 The Fourth in series of matcha tastings to see if taste, location and price equal up to a good quality tea. Kohei from Tales of Japanese Tea wrote matcha is not about price or origin , which made me want to do this little experiment. The previous three posts can be found here, here and here. It’s Christmas so let’s have some tea (by the way the Doctor Who Christmas Special is on~)! This weeks tea is very unique. Maiko Tea was introduced to me during my Tea Sommelier classes earlier this year. Shortly after I was talking to Dr.Ralph Faerber who taught me many new things about matcha and Japanese Teas. 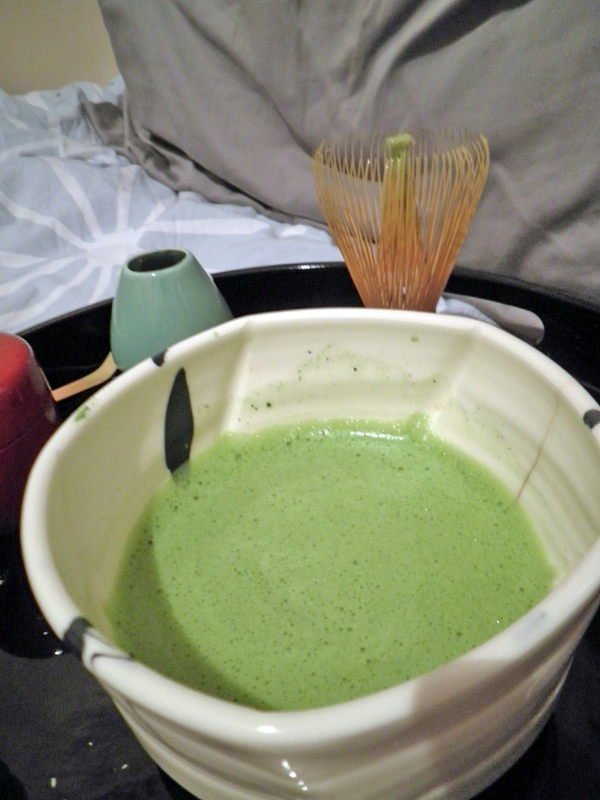 This matcha I bought is called “Kyo Mukashi”. The package depicts a Maiko on the box and tin with a double lid. Maiko Tea is located in Uji, Kyoto, Japan. The cost was about $13.72 CDN, very decent cost for much a tea. It had a creamy thick foam sweet, Very smooth lingering taste. I did find a slight sweet lemon taste behind it all, quite a pleasant surprise. Very vivid green and a tea that held together very well. This tea was very different as it had a low cost, great taste and was from Uji. After these four experiments, I feel that you can find something that has a great taste for a low cost. You just need to try different ones to find it. Over all I feel that this tea is my favourite out of the four we tried together, but I still will be looking for new ones to try. After all there are so many different teas in the world and so little time to experience them all. Which matcha is your “go to” matcha and why?